The art gallery A Gentil Carioca was founded on September 6, 2003 by the three same artists that run it today: Marcio Botner, Laura Lima, and Ernesto Neto. Located in the Historical Center of Rio de Janeiro—more specifically in the region called Sahara, known for having the largest outdoor market in Latin America—A Gentil Carioca was conceived in an effort to capture and disseminate the diversity of art in Brazil and the world. 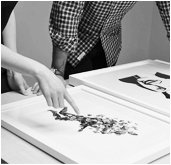 The gallery believes that every work of art is an entity with the power to promote culture and education. 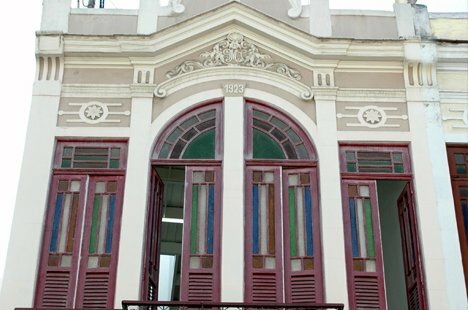 By stimulating the network of collectors and art lovers, A Gentil Carioca amplifies its field of action. In the same way that history can be thought, forged, documented, and changed, the geographical location of the gallery lends itself to a revitalization that occurs in an artistic or political context. In order to cover other areas of the city, and after eight years of functioning downtown, A Gentil Carioca opened a subsidiary in the Lagoa, south of the city and bordering the famous quarter of Ipanema. This space, as well as the headquarters in downtown Rio, aims to go beyond the functions of a conventional art gallery. Designed along the lines of a cultural institution, it has a small library and a veranda that are at the disposal of visitors for readings and meetings. The space can also be used for lectures and classes. Artists represented: Alexandre Vogler, Bernardo Ramalho, Botner & Pedro, Cabelo, Carlos Contente, Fabiano Gonper, Guga Ferraz, Jarbas Lopes, João Modé, Bento, Laura Lima, Lourival Cuquinha, Maria Laet, Maria Nepomuceno,Paul Nenflidio, Pedro Varela, Renata Lucas, Ricardo Basbaum, Rodrigo Torres, Simone Michelin, and Thiago Rocha Pitta.